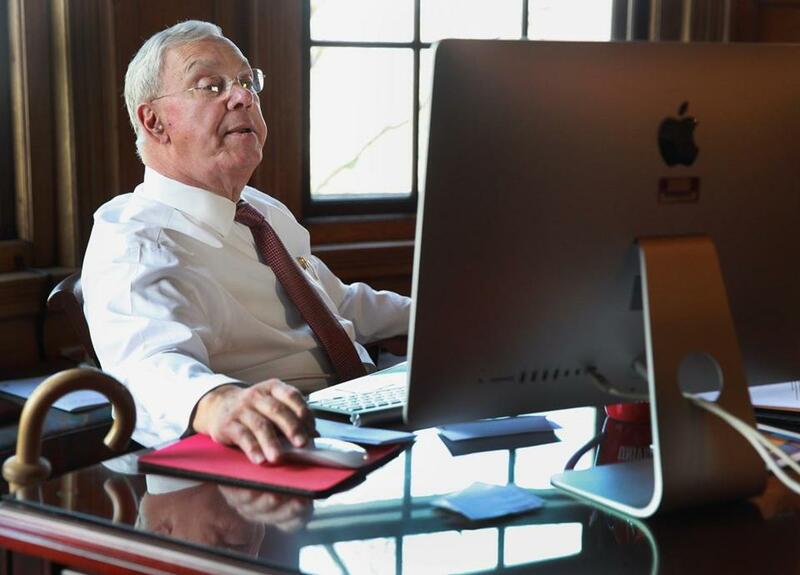 Former Boston mayor Thomas M. Menino helped develop the Menino Survey of Mayors while at Boston University before his death in 2014. As home values and rents continue climbing nationwide, affordable housing is the number-one concern for big city mayors — whether Republican or Democratic — and the cost of housing is the sole issue that many mayors from both parties consider a significant barrier to social mobility, according to a new study from the Boston University Initiative on Cities. Almost two-thirds of mayors consider affordable housing an integral part of city infrastructure, though only 56 percent favor relaxing zoning rules to encourage greater density in established, popular neighborhoods, according to BU’s 2018 Menino Survey of Mayors. “By and large, I think mayors are acknowledging the challenges in reshaping their cities’ housing,” said Katherine Levine Einstein, a BU assistant professor of political science and co-author of the study, which is named for former longtime Boston mayor Thomas M. Menino. Einstein worked with Menino to develop the annual survey during the late mayor’s 2014 stint at BU. Researchers interviewed 110 mayors of cities with populations greater than 75,000 from 37 states last summer to gather data. Their findings are set to be released Tuesday at the National Press Club in Washington, D.C. Researchers also found that Republican and Democratic mayors differed sharply on some controversial issues. On marijuana, two-thirds of Democratic mayors surveyed favored legalization and regulation, while two-thirds of Republican mayors opposed those actions. Regarding immigrants, 86 percent of Democratic mayors surveyed said legal status shouldn’t affect access to local government services, but only 29 percent of Republican mayors agreed. And on the issue of urban affordability, 42 percent of Democratic mayors said the largest barrier to social mobility in their cities is a dearth of jobs that pay a living wage. Only 12 percent of Republican mayors agreed, with 19 percent of Republican mayors saying their cities have no obstacles to social mobility. Sixty percent of Democratic mayors said they support living-wage ordinances, but no Republican mayors agreed, marking the largest partisan gap in the survey’s five-year history.